I’ve had a Raspberry Pi since Christmas, but haven’t done much with it up till now. That’s all changed since I moved house. Getting to grips with a new central heating system, I find that (for reasons too dull to list here) I need to monitor and control it rather more flexibly than I can do with the standard timer. I also don’t want to pay lots of money for a Nest controller, however beautiful it may expect itself to be considered. My first thought was to use an Arduino – the problem I’m addressing does not need a lot of processing power, and I don’t want to spend a lot – but I came up against a problem which seems to me to be the Arduino’s biggest failing at the moment. I want to be able to control the system over WiFi. There are WiFi shields for Arduino, of course, but they start at £30, twice the price of the Arduino. I could invest in a Yun which has WiFi on board, but that’s £70. There simply seems to be no cheap way of getting WiFi onto an Arduino – a device which is crying out to be connected to the internet.. Rob suggested I could use a bluetooth adapter and control the system from a phone; that has attractions and is very cheap, but means I have to be quite close to use it (no controlling the heating system from work, for example). This made me turn to the Pi. 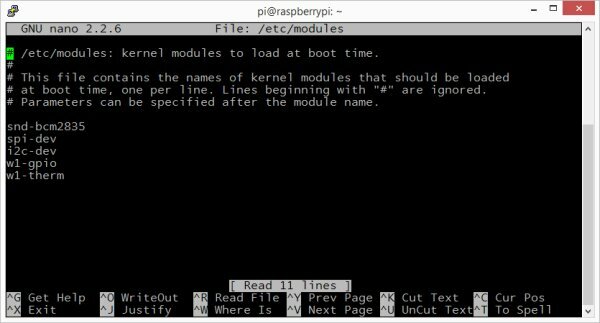 At first sight it seems ludicrous to use a full Linux computer for this trivial task, but consider: the Pi costs £23 (or less, for a model A), and the tiny USB WiFi dongle was only £9. That’s £32 for the whole thing. Much cheaper than an Arduino and WiFi combination. 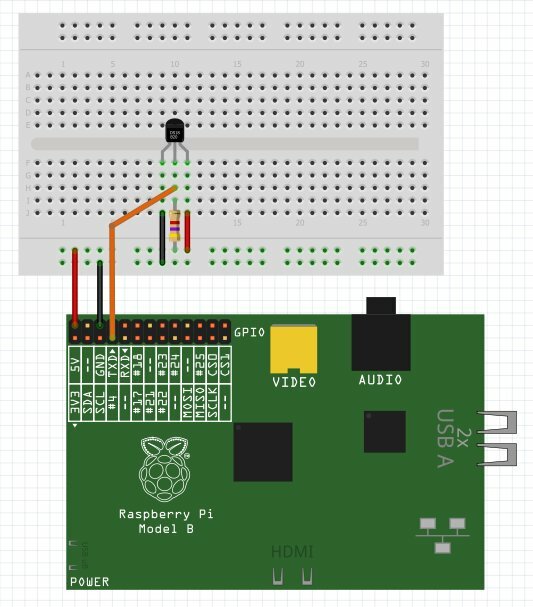 READ Build Your First IOT with a Raspberry Pi, DHT11 sensor, and Thingspeak. The hardware requirements of the system I want to build are quite simple. It must monitor two or more temperature sensors, and it must be able to control two or three relays capable of switching mains voltage. Having a couple of controllable status LEDs would be good, too. I don’t require any other user interface input or display in hardware, because I want to use a web interface. The Pi is more than capable of handling all this, but it turns out that there is quite a bit of software installation and configuration to do. All of it can be done over a ssh connection (I use PUTTY for this), which is fortunate because I don’t actually have a monitor with an HDMI input that I can use as a display for the Pi.